Dash cam and cycling navigation specialist, Mio, has unveiled the Cyclo 210. The bike computer comes pre-installed with full Europe road and cycle maps. The company adds that its new device gives clear and audible turn-by-turn instructions throughout a ride. There is also a ‘Surprise Me’ feature that gives three different route options, based on time, distance or destination if cyclists are looking for inspiration. The Mio Cyclo 210 ‘Surprise Me’ feature will continuously offer new bicycle routes, even if the cyclist always starts from a similar point, ‘so that the exploring continues’. The turn-by-turn navigation guides cyclists, indicating every instruction with a ‘clear sound alert to avoid getting lost’. 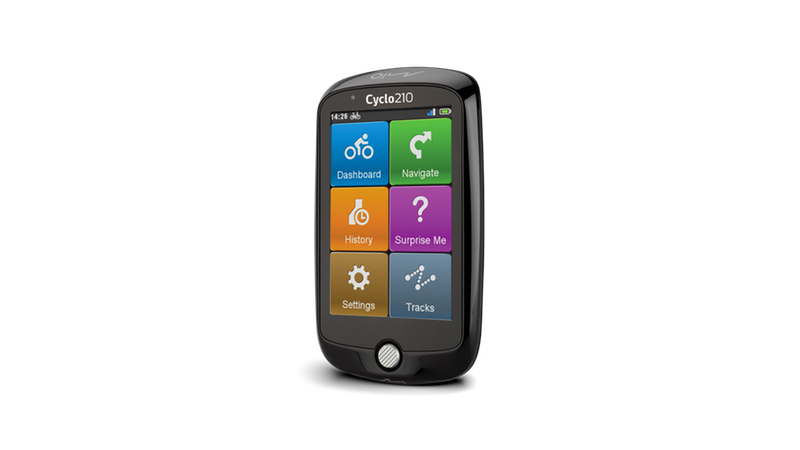 With its large 3.5” touch screen, a simple menu structure and clear on-screen buttons, the Mio Cyclo 210 aims to put ease of use at the forefront. The Mio Cyclo 210 measures time, speed, distance, height, calorie consumption and more. With the desktop application, riders are able to store their data, manage route history and share experiences with friends. The tool allows riders to download routes and enjoy new roads and areas others find interesting. The application is also a one-stop shop for managing the device and downloading map updates or latest product information. Mio Cyclo 210 is available from Amazon with an RRP of £189.99.